This 3rd Grade Multiplication Test is a great online activity for elementary students to check their understanding of basic multiplication facts. Third grade students will use models and arrays to multiply numbers. Students will also solve multiplication problems by viewing them as repeated addition. 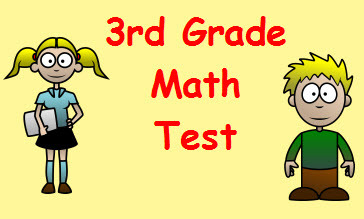 Return from this 3rd Grade Multiplication Test to the Elementary Math Tests , 3rd Grade Math Tests webpage, or to Math Tests.